There are few judges as gracious and inspiring as dog breeder, handler “Mike” Leathers, and All Breeds judge Michele Billings, in every way, a class act. 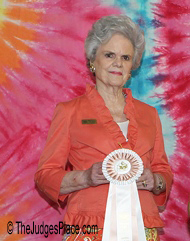 There are few judges as gracious and inspiring to dog show exhibitors as was Mrs. Michele Billings. She was in every way, a class act. Always perfectly attired for the sport of dogs (moderate heels for inside shows, sensible but fashionable flats for outside rings) 3-piece pants suit or knee-length skirt, and understated non-jangly jewelry. Michele was born in Chicago Nov. 10, 1930 but grew up in St. Petersburg, Florida, my home town. I was 8 years behind her so we never met even though our parents were dog fanciers. Lucky Mike, her family also had horses! 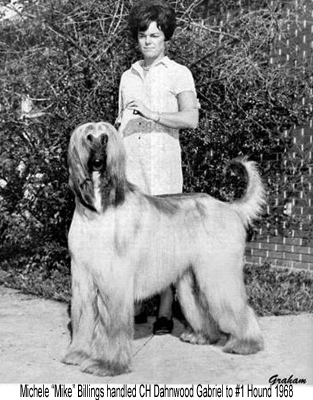 In 1952, she moved to Stone Mountain, Georgia where she began the legendary Kings Creek Kennels, most famous for Beagles and German Shepherds but she also bred Toy Fox Terriers “before they were AKC” and as she put in, “dabbled” in other breeds. Michele Leathers, AKA “Mike” was a tough competitor whether handling a puppy or a top ranked specials dog. Over the next twenty years, she gained in both popularity and stature, not an easy feat but that speaks to her character. “Mike” became the person other handlers went to for advice. She willingly shared her knowledge with people she felt were sincere and she was as good a judge of people as she was dogs. In fact, it was her immense understanding of not only breed type but the canine mind that enabled her to get such beautiful performances from her charges. Michelle met and married Amos Billings but another part of her immense character is that she kept her private life, well, private. 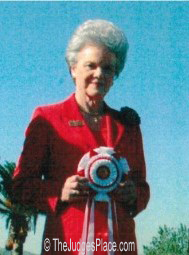 She retired from handling in 1970 but her love for dogs and people who shared that devotion led her to begin another career as a dog show judge. By 1973, when we met again, me with a new breed few judges understood (or wanted to examine) she was already “somebody” in the judging community. The first time she approached Sachmo, offered him her hand, then scratched him under the chin and deftly opened his mouth, I knew she was as gifted a judge as she had been as a handler. Back then most Akita judges were saying “show me his mouth please” but Michelle communicated with a dog like few in the business. The honors bestowed on Michelle Billings over the years were impressive, and deserved. 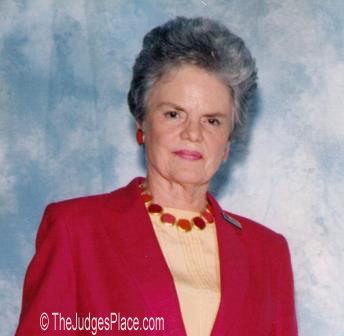 She was among the first female All-Breed judges and probably the youngest All-Breed judge. She was named “Woman of the Year” in 1983 and in 1986 Rick Beauchamp’s forever-famous Kennel Review magazine named her as “Judge of the Year”, an honor for which Mike was re-nominated many times. In 1998 she had the honor of judging Best-in-Show at the Westminster Kennel Club show in Madison Square Garden. Her winner was the incredible Pomeranian Ch Great Elms Prince Charming. 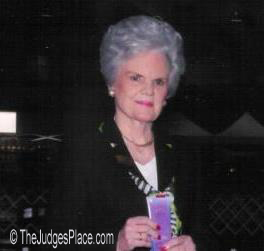 She was beloved by all who knew her but equally significant, she was admired and emulated by her judging peers and every exhibitor whose life she touched. She was hard as nails, soft-spoken, insightful, gracious to novice and peers alike, and to all who knew her, an inspiration. Michele Billings was truly a legend in her own time. Only a few years after her husband Amos passed away, Michele Leathers Billings died in Fort Lauderdale. Florida on October 31st 2013.